A winter day, with the rain giving a break. For me, this is the best time to do a wine tasting. In the summer everything happens, there are a thousand things to try, but it’s in these cold days that wine (mainly red) tastes better. 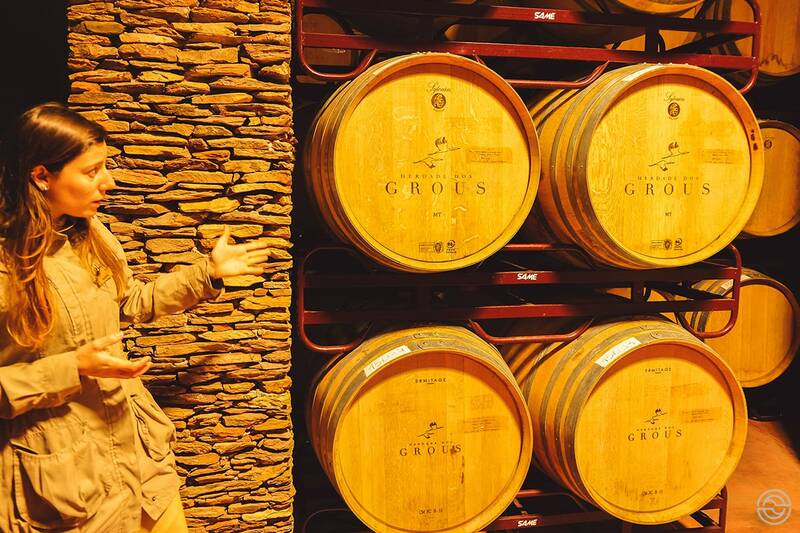 The date arrived, and the destination has long been chosen: the Herdade dos Grous. 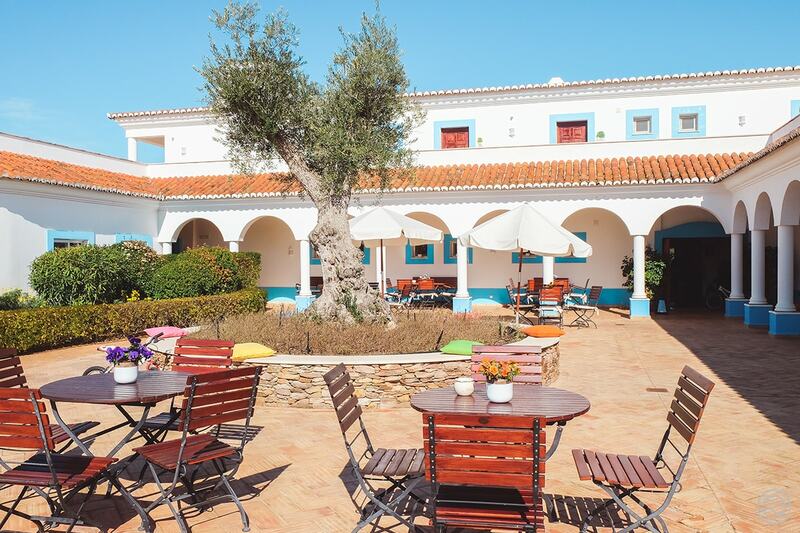 We were just waiting for the perfect moment to go to the heart of the Alentejo to see the property, visit the wine cellar and do a wine tasting. 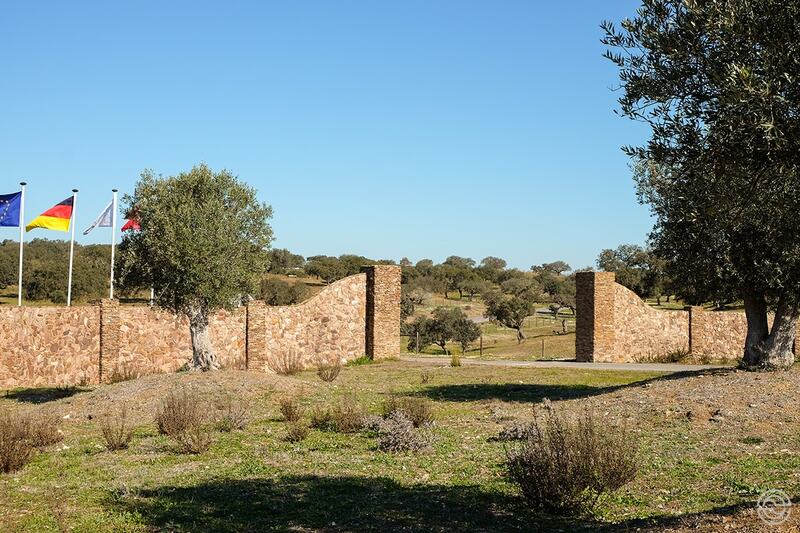 The trip to Herdade dos Grous is full of beautiful Alentejo landscapes as soon as you leave the highway. Despite the dry summer, followed by a winter that until then little rain had brought, the plains have already filled with green and invite to the walk. A scenario that extended beyond the gates of the wine estate. 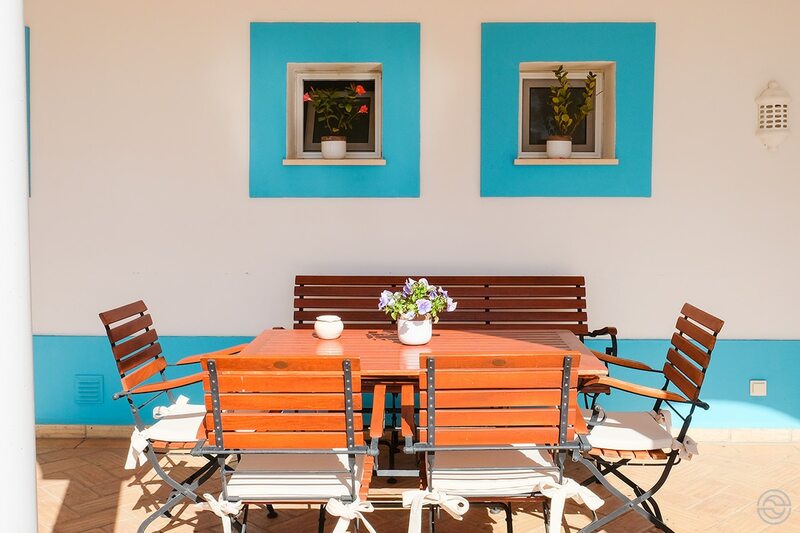 The large white house, with characteristic regional colors, welcomes new visitors. 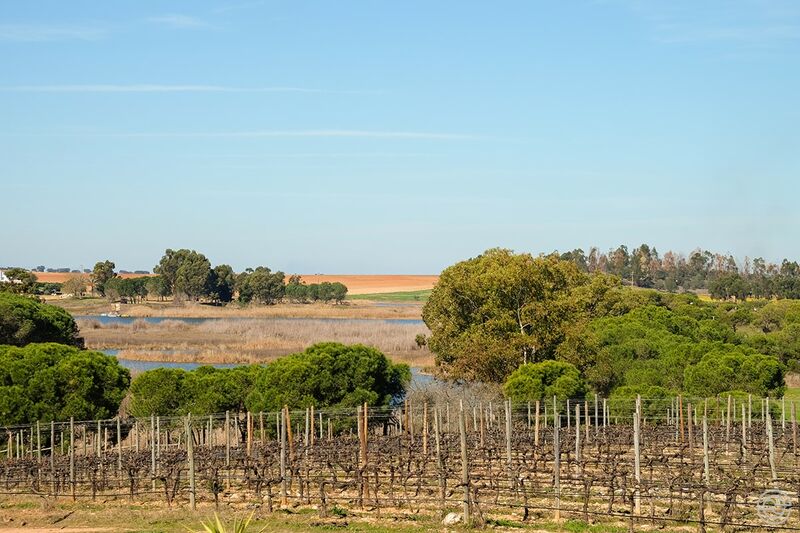 Surrounding it are endless vineyards from where the grapes that make one of my favorite Alentejo wines come out. The vines were by this time still undressed, but in the middle of harvest season, it must be beautiful scenery. After touring the surrounding area, the visit to the cellar began at the dock where the vans full of grapes unload. Our tour guide explained that the varieties of grapes are then selected and separated into different compartments, so that they are treated differently, guaranteeing their quality. It’s in those large stainless steel tanks, equipped with the most modern technology, that the fermentation takes place and where the liquid that will fill the barrels made of French and American wood is prepared. Who also doesn’t resist the grapes used in the manufacture are the birds. 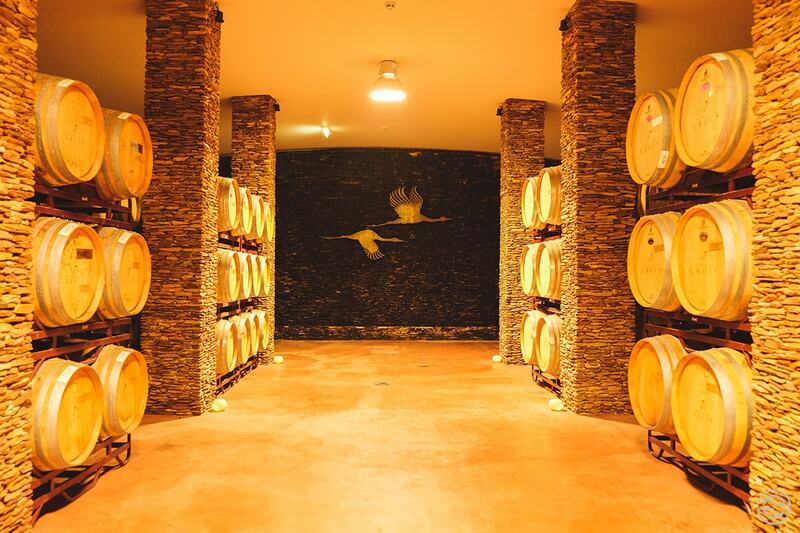 To prevent their presence, the sound of birds of prey is heard from time to time in the wine cellar. 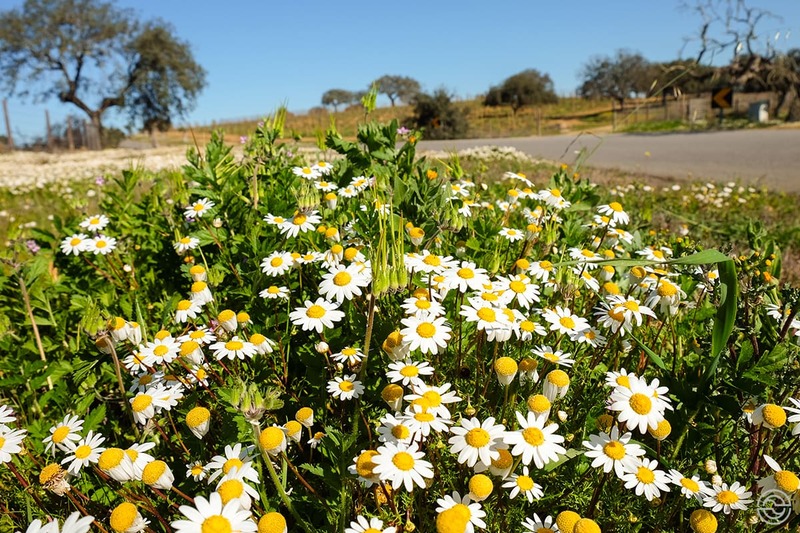 An anti-invasive measure that ends up giving a different stamp to the place. 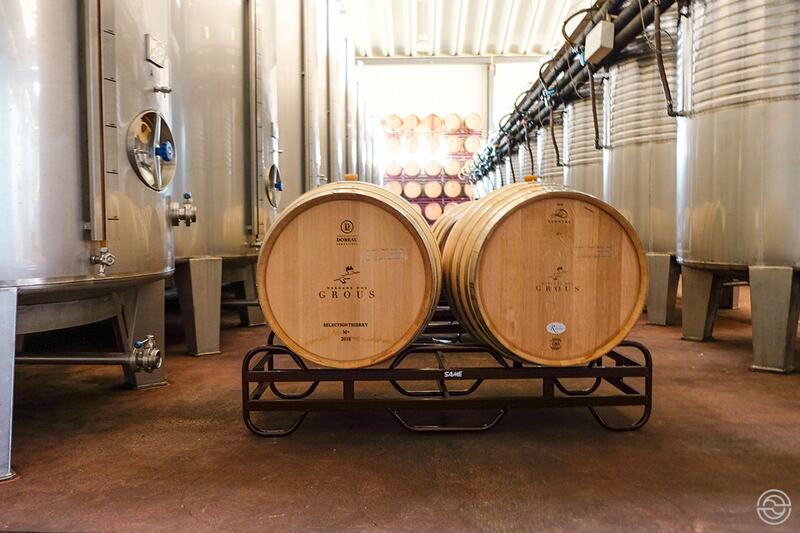 Placed in the new barrels, the wine is stored in the cellar to mature in conditions of humidity and ideal temperature, until the time it will pass to the zone of bottling and shipping. Through that basement, we wandered between rows of wine waiting patiently for their optimal time. Some will be there for a few months, others will stay longer. 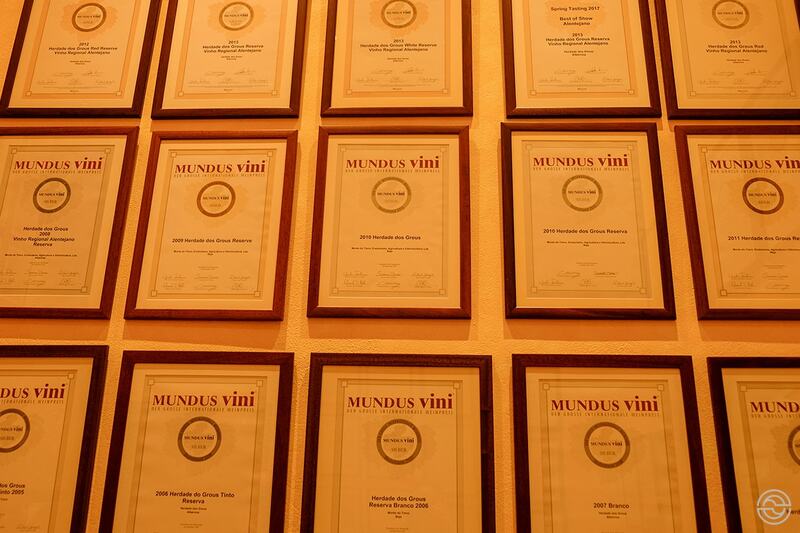 The visit to the Herdade dos Grous winery ends with a walk through the “wall of fame,” which includes all the prizes won by the house wines. Both nationally and internationally. And it’s a big wall! From there, we were taken to the wine bar of the estate and, as the weather was good, they set up a table outside to make the wine taste. 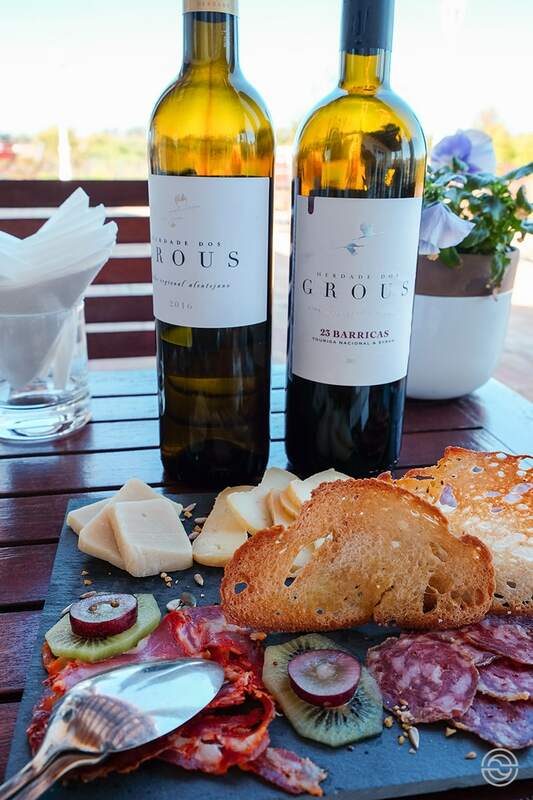 Following the two wines we have chosen to taste — Herdade dos Grous White, and Herdade dos Grous 23 Barricas Red — we were served a tasty regional cheese and sausage plate. 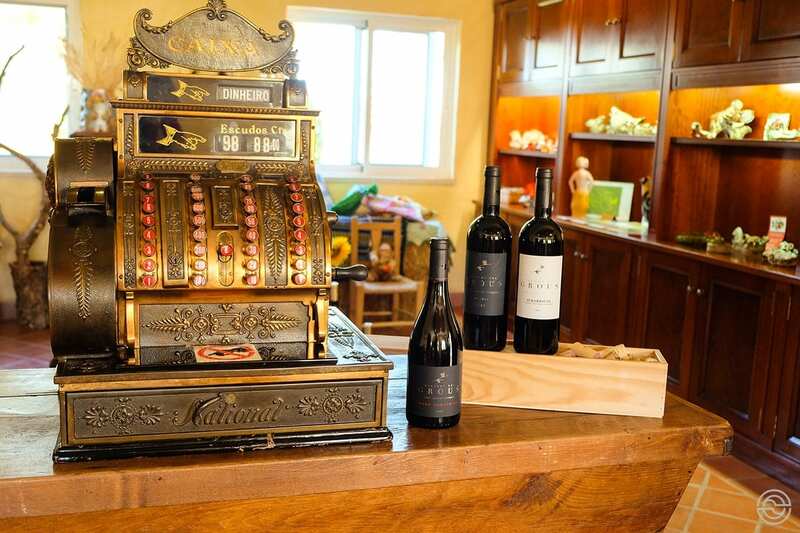 All accompanied by a presentation of the wines and a little more of the history and activity of that place. In this wine taste, I learned something different: the white accompanies the sausages because it cuts the fat of them and red highlights the cheeses. And I always thought it was the other way around! 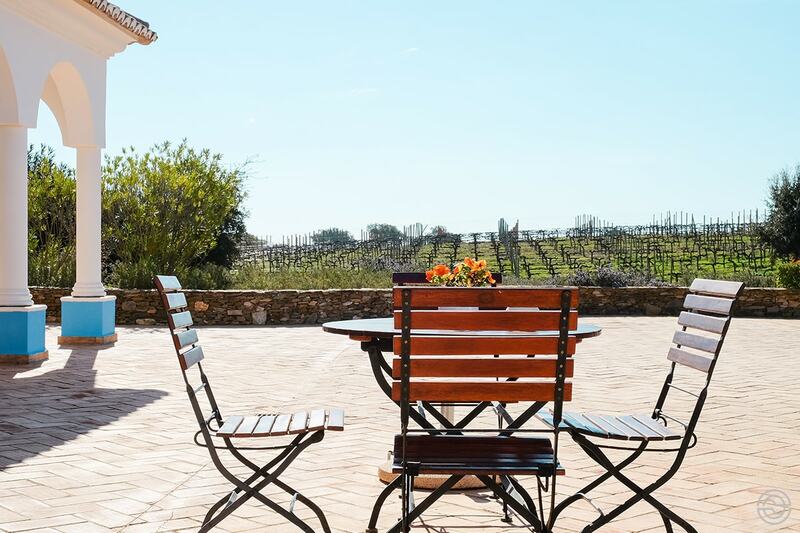 How about staying in this wine property? Click to book! Who on that side has already done some wine tasting? Do you like it? Where did you go? Tell me your experiences and give me ideas for other trips like this. You’re very welcome, Danik! Glad you liked the article. I adore wine and I love things like distillery tours but I’ve never been to a vineyard or winery before. 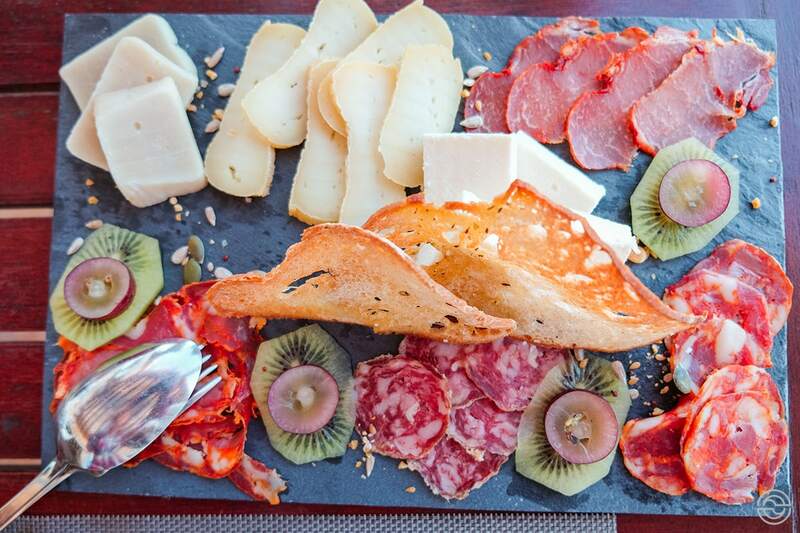 Herdade dos Grous looks like a great place to go (it’s truly beautiful) and those platters look delicious! Hi, Samantha. This is a great experience, since you learn everything about wine production, from the grape to the bottle. Glad you enjoyed the article! What a perfect day! I agree with you when you say, winter is a fantastic time to try (red) wine, with so much else to do during the summer. I love visiting vineyards and wineries myself and this one looks pretty amazing too. All those cheeses with the wine, yum! Hi, Medha. Yes, the wine and cheese plate at the end is a wonderful end to the tour 😉 Cheers to you! I’ve only done a wine tasting day once and that was in Australia. I loved it that they told us so much detail about each wine and the pairings. How interesting that white wine cuts through the fat of the sausages? That platter of food looks so tasty!Next time I’m in Portugal I’d love to do this. I love wine tasting on vacation, it’s one of my favourite things! One of the best tours was through the Yarra Valley in Australia- great day! Hi, Tamara. Would definitely love to try those Australian wines! 😉 Thanks for your comment. I’ve heard so many good things about Portugal’s wine. Good to know there are great areas outside of Porto! Hi, Sherianne. We have wine from all over the country. Even in Algarve! 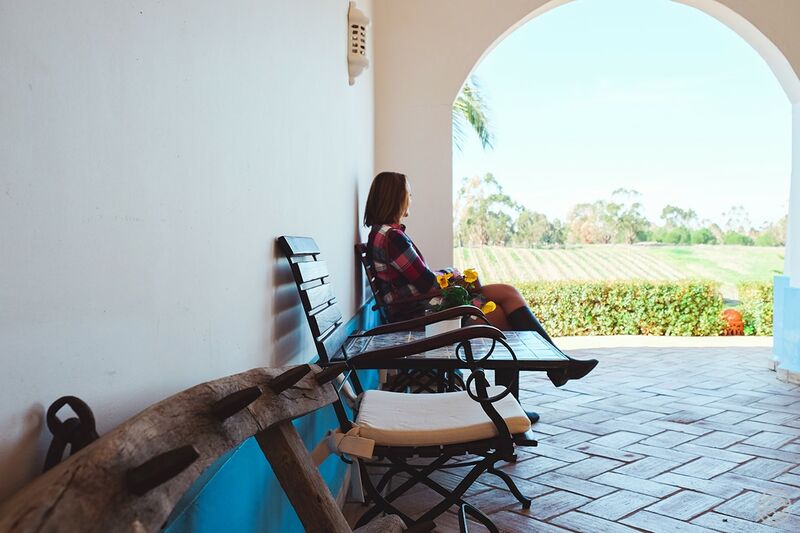 🙂 I love the wine from the Douro region, but the wines from Alentejo are so distinctive and one of my favorites. You have to try it someday. What a super tranquil place, the grounds are divine. I appreciate your walkthrough of the tour and of course the main event of charcuterie and wines! Book marked for my future visit to Portugal. Thanks for the comment, Dorene. I’m glad you liked the suggestion. 🙂 Cheers! I’m surprised to learn that it’s still wintertime when you had this experience. It seems proper summer by looking at your photos. Anyway, I love the wide-open expanse of the place with those trees and flowers. Nice view of the vineyard from the large white house. Thanks, Ash! I was super lucky with the weather that day. So glad you’ve enjoyed the article. Cheers to you! It’s so wonderful that you not only got to have a beautiful experience, but that you learned something as well. I never knew that white wine would cut the fat of sausage. That’s a great tip! Oh this looks so mouth-watering. I love wine tasting but it is even better when you get to try it on site.